The Center for Disease Control and Prevention identifies heart attack and stroke to be among the leading causes of death in seniors—deaths that could very well be avoidable if help came to them fast, right when they needed it. Medical alert devices and gadgets like activity tracker for seniors are excellent lifelines not only during aftercare, but also for general everyday use especially when seniors insist on living alone. Medical alert devices and applications typically feature visible and easily accessible emergency buttons, which can be used to send wireless signals to monitoring centers or alert messages to caregivers and relatives should a senior require urgent help. In the case of a monitored alert device, monitoring units can directly speak to a senior in trouble to determine what kind of emergency help is needed. These monitoring centers should typically know about the senior’s general medical history and condition so it will be easier and faster to establish the problem and send the right help. Monitoring units can then coordinate emergency help according to all the information they have as well as the senior’s location. Giving seniors a panic button of sorts can help prevent untoward incidents as they get the help they need when they need it, fast. Older people are vulnerable to accidents and emergencies when left by themselves. With a senior tracker, caregivers, children, and loved ones can have peace of mind that their elderly parent or relative are being safe. 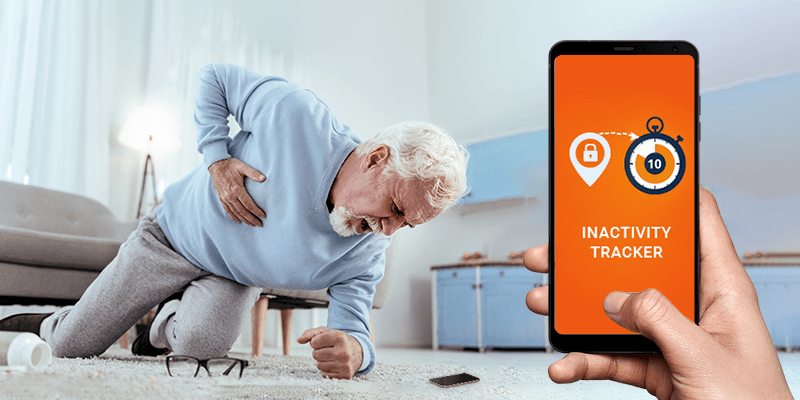 You can’t go wrong with phone applications like Senior Safety App, which can even serve as a panic button should elderly users find themselves in emergency situations and need some type of help or assistance.